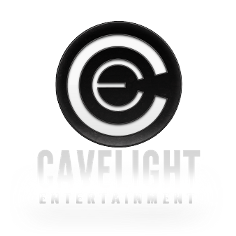 Cavelight is an independent game development studio based in Skövde. Our well rounded team cosists of people with different skillsets and experiences. With everyone having a very defined taste in games. We are big fans of the games of the late 90's, while still enjoying the innovations that have changed the games consumers play until this day. This mix of fresh thinking, appreciation of modern games and knowledge of how games used to be enables us to cherry pick the features we think are best from each era and use our own creative sensibilities to create games unlike what most of the game's industry is doing. Velocity Stream is a new take on the racing genre. In the game, one player takes control over the Paver, a spacecraft which flies through the game world and leaves a trail of energy in its wake. It's on this trail that the other players race each other. This makes the game less about memorizing tracks to win and more about pure skill. A keyword during development has been ”smooth”. We aspire to have a smooth art style, smooth drifting gameplay and smooth music. And to ease players into this unique online experience, the game will contain three different speed classes. This unique racer is available on Steam right now and is continually being updated with new content, including maps, vehicles, modes and features. Do you have fond memories of games from PS1/N64 era? With arcade style vehicle handling, explorable open worlds, lots of unlockables and graphics designed to look like a 90's FMV cutscene, Crazy Dozer is the game for you. In Crazy Dozer, players take control over one of several dozers. The player's goal is to cause as much destruction as possible within a limited ammount of time. Crazy Dozer is currently going through Steam Greenlight. A free demo is also available for your playing pleasure.